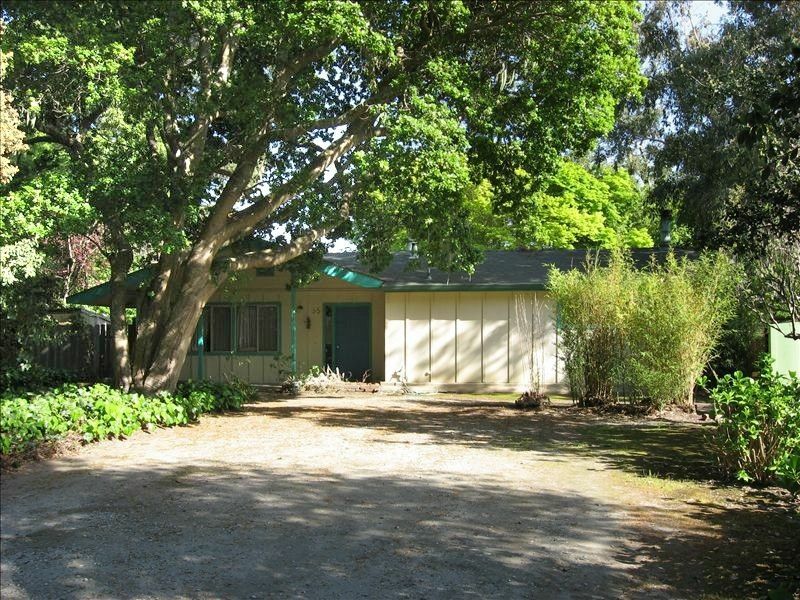 Quiet, comfortable family home in beautiful La Selva Beach. Play on the beach, walk on the bluff, play games or just relax and read a book by the fire. Our home is just a short walk through a private gate to a broad sandy beach. The beach joins Manresa State Beach to the south and is ideal for long walks, surfing, skim boarding, frisbee, and playing in the sand. After a day at the beach, enjoy a barbecue on the deck or cook in our small, but fully stocked kitchen. The open family room has a wood stove and plenty of wood for fires, lots of games and a variety of books to read during your stay. There is a sweet little playground down the single lane road, with a basketball court, swings and play equipment. Around the corner, the bluff offers a panoramic view of all of Monterey Bay. The house has three bedrooms -- one with a queen bed, one with a double bed, and the third smaller bedroom most suitable for kids, with a small built in twin bed and a day bed with a trundle. The furnishings are simple and casual. The little town of La Selva Beach is just twelve miles south of Santa Cruz, convenient to several state parks, the University of California at Santa Cruz and the Santa Cruz Beach Boardwalk. Monterey, and its wonderful Aquarium, is just a 40 minute drive to the south. My family truly enjoyed our vacation at this home. It was perfect for us we did feel like we were at home. Would recommend to anyone. We had a wonderful time at La Selva, the location was perfect for families with little kids, the beach is an easy walk, and playground on the way is ideal. Sue was extremely helpful, and always prompt with replies. The house is very well stocked and comfortable, and not fancy, which was exactly what we were looking for. A true classic. Thanks again for a great stay! While the home was larger than expected the beds were unsatisfactory and too many insects within the house. Family members are fearful of spiders. We will not be staying there next year. We recognize that our home is not fancy, but quiet and relaxed. We make every effort to ensure our guests’ comfort, and we’re sorry that our home did not meet your needs. The house was spacious, well stocked and cozy. The location is wonderful, and Sue made everything very easy. Would love to stay here again in the future. We loved that place. At an affordable price we had a spacious quiet house in walking distance to a private beach. There was enough space for 3 adults and 2 kids, the kitchen is well equipped. Wifi worked great. No complaints whatsoever. Totally recommended for families. Comfortable house, beach nearby - nothing better! This beautiful La Selva beach house is a comfortable family home. The kitchen is well-equipped and easy to use. The family room is spacious. The large back yard makes it seem like you have a private park. The street is seldom traveled, so there is no traffic noise. This was my second time staying here and it was just as enjoyable as the first time. The beach is within walking distance and so refreshing.